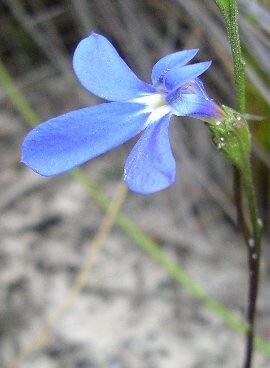 Sat, 10 Mar: Deephole to Southport Lagoon & Bluff. Field nats setting out on the Ida Bay tourist train to Deep Hole. From there we walked through heathland to Southport Bluff and Southport Lagoon. 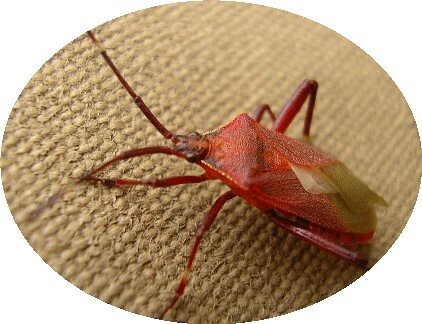 A Heteroptera bug, 15mm body length. 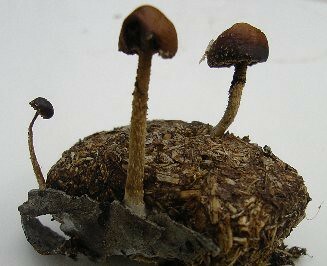 Small fungi growing out of wallaby dung. The fungi are about 8mm across. 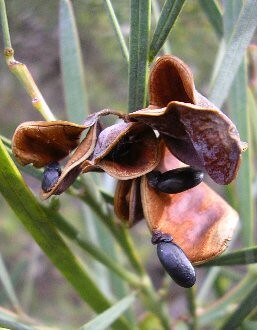 Pods and seeds of Acacia suaveolens. 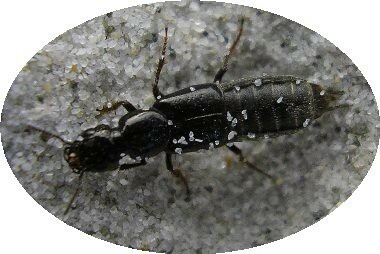 A rove beetle (Staphylinidae) roving on the beach near Southport Bluff. 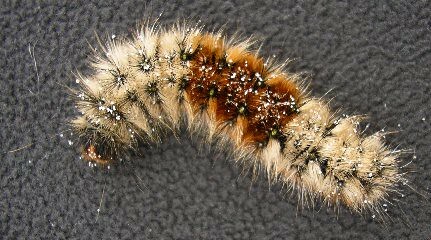 A caterpillar rescued from the beach. 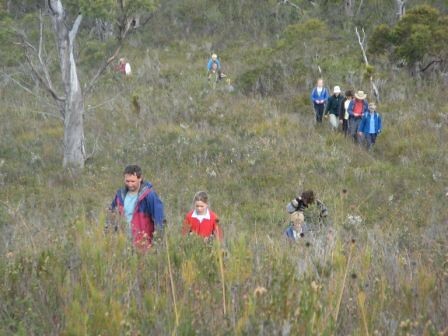 Field-nats returning from the Bluff, walking through coastal heathlands. 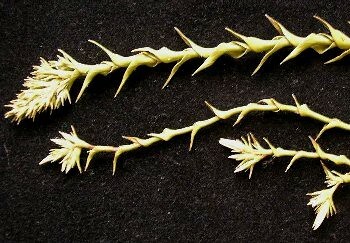 and below, a variant with smaller leaves more spread out along stems and with fewer clear pink flowers. 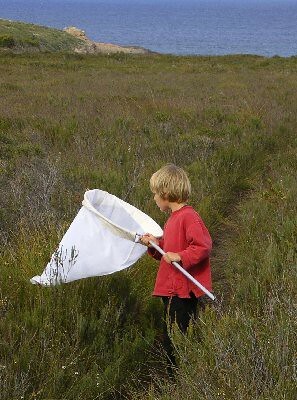 An enthusiastic collector in the heathland near Southport Bluff.